When it comes to popularity among positions, linebackers probably rank closer to the bottom. There aren’t too many big-name linebackers unless you’re just an absolute stud or an outside linebacker that plays more as an edge rusher. Even though that may be true, they are still one of the most important position groups in football. When it comes to the defense, they are the leaders of the defense. Majority of the time, the middle linebacker is considered the captain of the defense. So, how is the Browns’ linebacker group looking? During the 2018 season, the Browns’ defense was one of the worst in total offensive yards and rushing yards given up. At times, it looked like our defense was great, but a lot of that was due to our ability to keep offenses out of the end zone and our abundance of turnovers. Unfortunately, turnovers tend to be fluky and unpredictable, so it is hard to say this will happen again next season. In that case, there needs to be some improvement in the linebacker group. Under Gregg Williams, linebackers don’t always fair as well, so let’s hope there will be some improvement under new defensive coordinator, Steve Wilks. 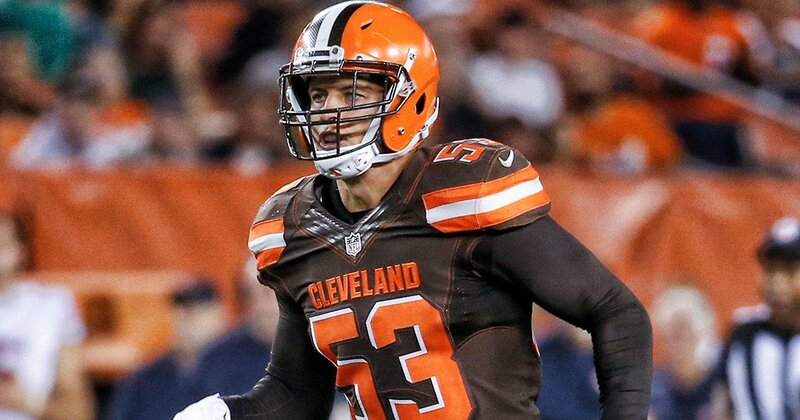 To start, Joe Schobert is the leader of the defense and should be expected to be a part of the Browns’ defense for a while. When I say leader, I don’t mean the best on defense. I mean leader as in a great communicator and commander. That is expected as a middle linebacker, but he does a great job in this aspect. In 2017, he got in the Pro Bowl as an alternate and continued to play well in 2018. He isn’t the best in run coverage and could use some improvement in that, but as one of the cores of our defense, I expect him to be around for next season and more. He is cheap since he is on his rookie contract, but I will be looking for them to extend his contract in the next season. The most interesting player to discuss is Jamie Collins. When the Browns acquired Collins from the Patriots, they were expected to get the Pro Bowl and Second-Team All-Pro linebacker. Unfortunately, that hasn’t been the case so far. When Collins was traded to the Browns, he finished the season at a high level. This led to him getting a huge contract of $50 million for four years. At first, I was happy about it because he was someone that I felt we needed to lock down. The following season, he only played in six games due to multiple injuries. This past season, Collins was able to play and start in all 16 games, but still wasn’t the same linebacker he used to be. In that case, I don’t expect him to be with the Browns in 2019. He is the prime candidate for the Browns to cut in the off season due to his recent play, injuries and the fact that they would save $9 million. Thanks for the few years, but see you later, Collins. Lastly, the longest-tenured player for the Browns is Christian Kirksey. Even though Kirksey has been a Brown the longest on the roster and is very instrumental in the city, you can’t deny his play has declined. In 2016, he was one of the NFL leaders in tackles and was up there again in 2017. However, 2018 was his first year not playing in all 16 games (where he only played eight due to injury). Under Williams, he hasn’t been the same, so the common hope is that he can get back to his normal self under Wilks. That is why I expect him to be around in 2019 and continue to be a starter, especially with his big contract extension in 2017 and not much salary cap benefit from getting rid of him now. Yes, Genard Avery is listed as a linebacker, too, but he plays more as an edge rusher, so I consider him to be more of a situational player. Either way, he had a fantastic rookie season, so I’m sure we’ll be seeing him for a while if he keeps it up. As for back-up linebackers, Tanner Vallejo was the only one that got considerable snaps, but he was recently waived and picked up by the Arizona Cardinals. In that case, I wouldn’t say any back-up positions could be changing a lot and aren’t a huge concern.